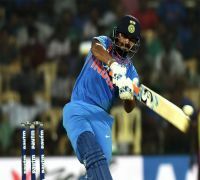 Hardik Pandya played yet another match-winning knock to help Mumbai Indians beat Royal Challengers Bangalore by five wickets and stated that his time away from the game has improved his mindset. Hardik Pandya is expected to be a key player for India in ICC Cricket World Cup 2019. Mumbai Indians defeated Royal Challengers Bangalore for the 16th time. Royal Challengers Bangalore have lost seven out of eight games in IPL 2019. Hardik Pandya’s career was at the crossroads at the start of 2019. 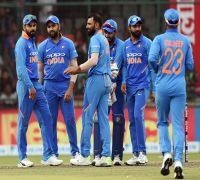 The India cricket team all-rounder made some remarks on the chat show Koffee With Karan hosted by Karan Johar and it was termed ‘racist’, ‘misogynistic’ by plenty of social media users, notably women. Pandya was suspended from the Indian cricket team and he missed the entire ODI series against Australia as well as a couple of ODIs in New Zealand. However, Pandya made a comeback and has been in great form for Mumbai Indians in the IPL, managing 186 runs at a strike-rate of over 190. Following his match-winning knock against Royal Challengers Bangalore in which his 37 off 16 balls gave Mumbai Indians a five-wicket win, Pandya said the time away from cricket has improved his mindset. “It's okay, everyone has a setback and for me, I got some time for my body (working on fitness routines) as well. The time I was out is helping me right now because I am in a good mindset and everything is coming right,” Pandya said. The matter is still pending with the BCCI Ombudsman but the all-rounder is expected to get a clean chit. However, just before the game between Mumbai Indians and Royal Challengers Bangalore, the 15-man Indian cricket team squad for the 2019 ICC Cricket World Cup in England was announced and Pandya’s name was included. The Baroda player is expected to play a huge role with both bat and ball. However, Pandya is relishing the role of a finisher and pointed out that he is just sticking to the basics which have helped him achieve consistency for Mumbai Indians in the last four years. “I have been doing that for the last four years now. That's my role in any team I play for. I have been practising at the nets the same thing. It is about the situation. You play according to the situation and if you are smart enough, you will more often get the result you desire. Cricket will always be the same. Be it the World Cup or IPL, the pressure will be the same. I will follow my basics. That's what has got success for me and I will keep backing myself that way,” Pandya said. Mumbai Indians registered a magnificent five-wicket win against Virat Kohli’s Royal Challengers Bangalore at the Wankhede stadium on Monday. Royal Challengers Bangalore were boosted by a brilliant 75 from AB de Villiers and an aggressive 50 from Moeen Ali but Lasith Malinga bounced back in the death overs and took 4/31 as Mumbai Indians restricted Royal Challengers Bangalore to 172/7. In response, Moeen and Yuzvendra Chahal restricted Mumbai Indians but Pandya’s blitz towards the end helped Mumbai Indians inflict their 16th loss to Royal Challengers Bangalore, the most by any team against Kohli’s side. The loss for Royal Challengers Bangalore has potentially ended their chances of reaching the playoffs. They will have to win all their games and ensure some results go their way. With this win, Mumbai Indians are in second place and they are level on 10 points with Delhi Capitals and Kolkata Knight Riders.